Ever since, our staff has been pondering the big question: What IS Barron hiding? After 48 hours of intense speculation, we think we finally have some answers. When I saw the banner flying over the stadium, I could think of only one thing: the JoePa statue. I’ve heard that President Barron keeps the statue in his house to welcome visiting alumni. Apparently, someone with a particular love for the statue caught wind of this and is demanding Barron to make his secrets public. President Barron, return the statue to the people! It is time. It is finally time you released this report. For years, we have been plagued with nothing but pain, confusion, and dissatisfaction with your lack of action. We finally deserve the truth. The Joe Paterno statue’s whereabouts may ultimately be in this report you have been hiding from us, the fans and students of Penn State. You and I both know what truly rests within the margins of this report, so you begrudgingly won’t release it to the deserving people of Penn State. This report contains the holy grail of all Penn State information. Consider this report to be the Declaration of Independence and us, the loyal people of Penn State, the Nicolas Cages set forth on a saga to discover truth, liberty, and unequivocal justice. If you provide the key, we the people already contain the lock. Release the report so we can finally decipher the cryptic and prophetic words of the wise one. Let us discover the truth of sigarette smoke, and then ultimately, the location of the holy grail Joe Paterno Statue. RELEASE THE REPORT! ‘Twas a crisp game day morning when this omen flew overhead, and I knew it could only mean one thing. The JoePa statue is out there. More importantly, President Barron knows its whereabouts. What else is there to hide, other than a life-size bronze statue of our coach?! The only logical explanation is that Barron has a top secret report, which is actually just a treasure map that leads right to the statue. Hail to the pilot who bravely exposed our fraudulent president! Free the statue! When I glanced up over the tailgating lots Saturday and saw this banner, I was in shock. It was too good to be true. We’ve asked, we’ve pleaded, and now we’ve taken to hiring flyover planes to truly set the record straight. President Barron, where is the statue? We’ve got to know. One man can only keep a secret for so long before he’s got to spill the beans. And when that time comes, we’ll be waiting. President Barron, administrators’ emails regarding what happened to our famous statue have already been leaked once and tainted one president’s term with mystery. Get ahead of the curve this time and prove to us all that Joe is still alive, well, and pointing his finger. Otherwise, get ready for some more capital-J investigative Journalism. Unlike the ambitious and demanding pilot this weekend, I’m not even looking for a full report. I’d be fine with receiving GPS coordinates DMed to me through a burner account, loaded onto a USB that’s taped to the inside of a toilet in the HUB, or coded to me through Morse Code blinks during your next holiday greetings video. Help me help you. 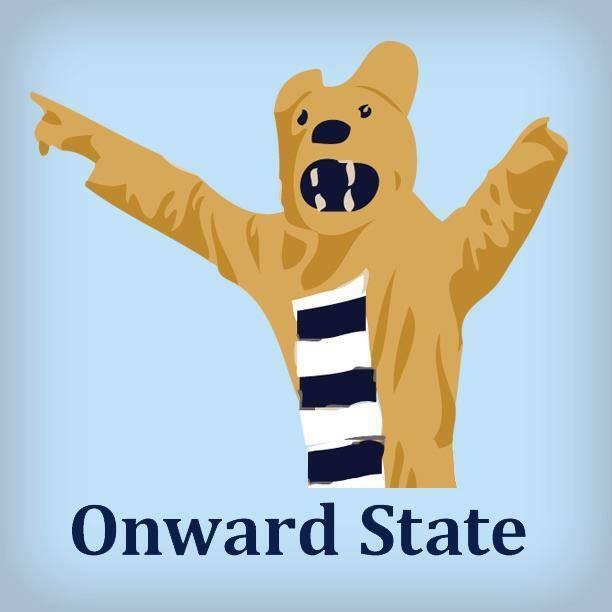 This report mentioned on the banner NEEDS to be about the location of the Joe Paterno statue. I’m willing to bet at least one organ and/or limb that the JoePa statue is buried somewhere in the bowels of Beaver Stadium behind a cloud of sigarette smoke. There’s no way anything else could be in this report.